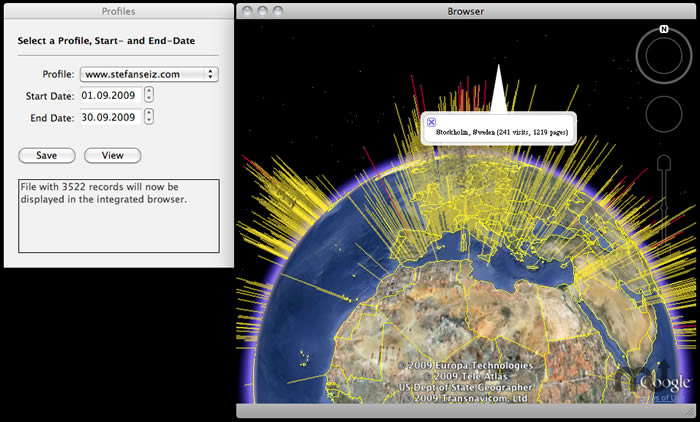 View analytics georeports on a 3D Google earth globe. Is there a better alternative to Analytics to Earth? Is Analytics to Earth really the best app in Illustration category? 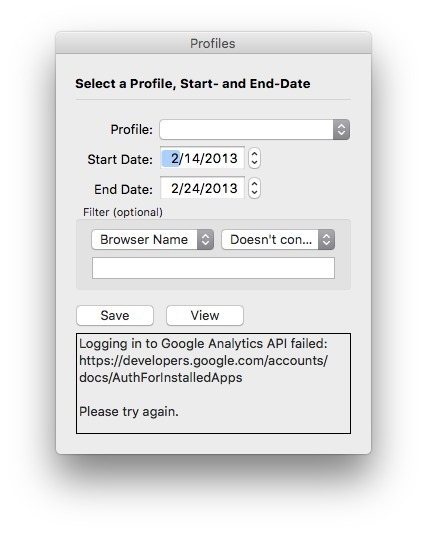 Will Analytics to Earth work good on macOS 10.13.4? Analytics to Earth... View your Analytics Georeports on a 3D Google Earth Globe in the integrated browser (which utilizes the Google Earth Internet-Plugin) or export your data to a .kml file which you can import in the standalone version of Google Earth. 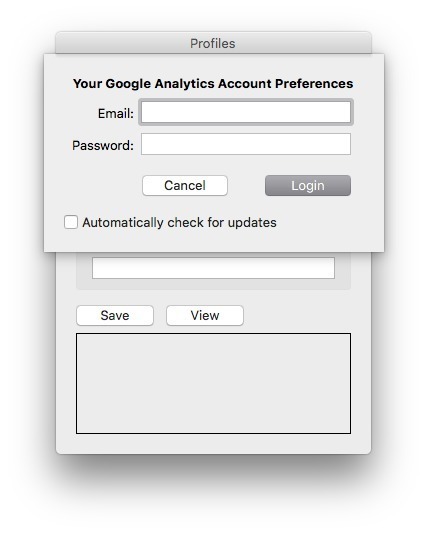 Simply choose one of your Analytics profiles, specify a time frame and hit "View". 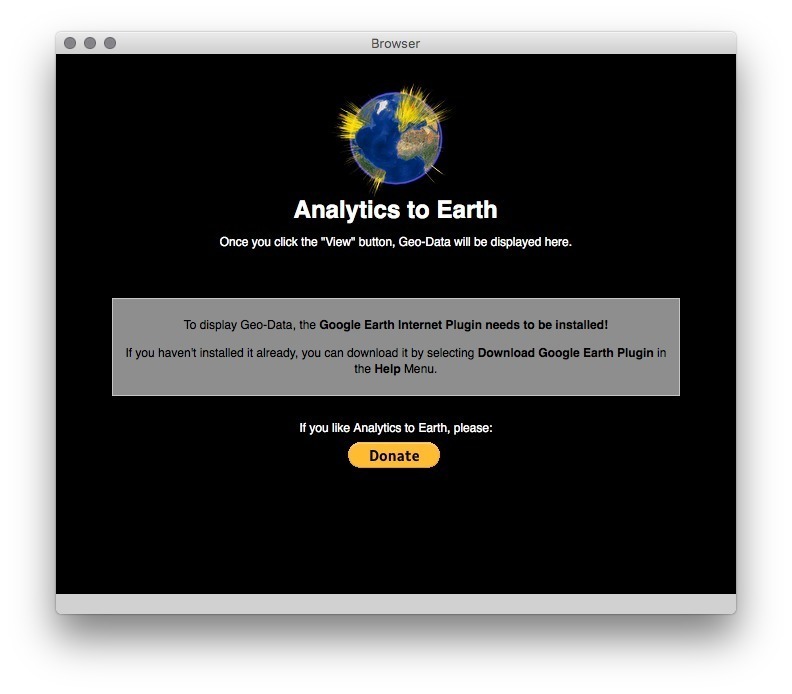 Analytics to Earth needs a rating. Be the first to rate this app and get the discussion started!